Hillary Clinton might have punched the perfect campaign theme button when she declared victory in this past weekend’s South Carolina Democratic presidential primary. 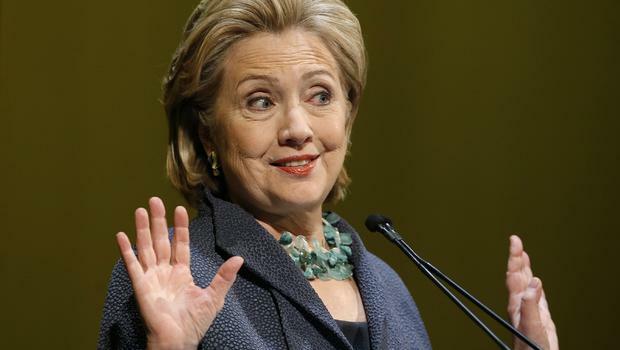 She took dead aim at Donald J. Trump’s pledge to “make America great again.” The Republican primary frontrunner keeps asserting that the United States no longer is the greatest nation Earth, that it has ceded its greatness to trade rivals such as China and, get this, Mexico. He asserts that foreign governments no longer “fear” this country. Clinton has a different view. It is that the United States “always has been great,” and she declared it to her fans while basking in the victory glow in South Carolina. Indeed, the Trump message — depending on how you interpret it — can be seen as a supreme insult to the men and women who serve t protect us. It also insults the career diplomats, foreign service officers, domestic agency staffers and all the rest of those who serve within the public sector at the will of the American taxpayer. Did I say “insult”? I almost forgot. That’s how Trump has endeared himself to those who claim to be Trumpsters. I choose not to march to that cadence. Trump’s fear-mongering, negativity and the message that borders on bigotry might play well among those who have swallowed the notion that we are in steep decline. Others, though, should keep reminding us — just as Ronald Reagan did so eloquently while proclaiming it was “Morning in America” — that our nation’s best days are still to come. That’s a big part of Hillary Clinton’s victory message. There’s no need to “make America great again,” she said. We’re still the greatest nation on the planet. It doesn’t make a damn bit of difference how you lose a pet that becomes a member of the family. If it’s quick, unexpected and, well, shocking, that’s tough to handle. If it’s something you expect and are waiting for the inevitable, that stinks, too. Today we said goodbye to our 14-year-old kitty, Mittens. We knew it was coming. She had developed a tumor in her left cheek about three months ago. The doctor took a tissue sample and sent it out to be tested. It came back malignant. She has a carcinoma, the doc said. We gave her some antibiotics and some pain meds. She did well for several weeks after the diagnosis. But the doctor warned us: There’s no permanent cure available short of surgery, radiation and chemo therapy. At Mittens’ age, with the risk of organ failure as she came out of the anesthesia, we decided to forgo the heavy-duty treatment. Well, she stopped eating late this past week. It’s not that she didn’t want to eat. She just couldn’t. The tumor had broken the skin inside her mouth. It had become infected. She couldn’t chew. Today was the day we dreaded. My wife reminded me that “this is the price we pay” for owning pets with which we fall in love. It happened with Mittens’ brother, Socks, who died quietly and suddenly in November 2014. Believe me, that one hurt, too. Today, our hearts are broken once again. My mother used to joke about those who dismissed cats, people who couldn’t see the personality that these critters possess. Mom knew better. My wife and I knew better, too. We’ve had a number of cats during our 44-plus years together. They’ve all occupied special places in our hearts. Mittens was no exception. She was a relentless bird hunter and managed to help us de-mouse our home when he had a mild infestation of the rodents a few years back. She also was sweet, despite being ultra-shy around people she didn’t know. With her “mother” and me? She was full of love and was unafraid to demonstrate it. When Socks died, Mittens seemed to know intuitively we were hurting and she became even more demonstrative with her affection. I can’t prove that she felt our pain … to borrow a phrase. I just knew it. In recent months, we had decided to take her traveling with us in our fifth wheel (see picture). We learned to our pleasant surprise that she traveled quite well. She rode up front in the kennel in our truck and when we parked and set up our campsite, she would find her favorite places to settle inside the RV. No sweat, man. Yep, we are mourning today. Then again, we still have Toby the Puppy to make us laugh. I suspect we’ll be laughing a little harder at the way he carries on. I’m beginning to see the first hint of a ridicule campaign developing as it relates to Amarillo’s interim city manager. It’s showing up in social media gags about ridiculously trivial “emergencies” becoming reasons to call 911. Lost your car keys? Quick! Call the emergency response center. A neighbor’s dog pooped on your yard? Hey, call 911 and demand the cops to get there in a hurry to arrest Rover. Why the hyperventilating? Over a briefcase! Yeah, I can hear the joke machine getting cranked up at this moment. Here’s how the interim city manager can put this thing to rest for as long as on the job at City Hall: Issue a public mea culpa, say he overreacted to what turned out to be the clumsy misplacement of an item. It likely won’t happen. I don’t know Childers, but my strong hunch is that he’s a proud man, a strong executive — whose pride and administrative strength probably don’t allow him to say he’s sorry. I’d bet real American money, though, that the jokes around town are going to mount. Amarillo City Hall has become a source of melodrama and intrigue. This isn’t how government is supposed to work. Three men got elected in 2015 to the Amarillo City Council. They promised “change.” It came, all right. The city attorney quit. The assistant city manager retired. Then the city manager quit. All the while other key positions remained unfilled. Then the city hired an interim city manager. He shuffled duties around. He reorganized the City Hall bureaucracy, getting high praise from those who report to the manager. The City Council yanked economic development duties from a non-profit agency and handed them to City Hall operators, again at the recommendation of the new interim manager. Now the new guy has gotten entangled in a controversy over how the city 911 emergency call center works. His briefcase got misplaced and he placed a call to the center and made some stern demands of the dispatcher who answered his call. Then more change came about, this time at the call center. I’m watching this drama — right along with the rest of the city’s residents — from the proverbial peanut gallery. I get that change often can be a good thing. I also get that change isn’t necessarily achieved for the better. Sometimes change for the sake of it takes over and confusion reigns. To be candid, City Hall ought to be a place that runs with cool efficiency. That’s what the governing council — the folks who are responsible ultimately for how the city works — keeps promising for us. They vowed to bring about change. They didn’t tell us about the chaos. How about getting a grip on things at City Hall? Mischief possible on Election Day? 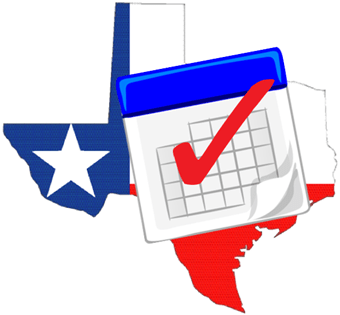 Texas’ open primary system is going to be on display. The state’s election system provides opportunity for polling-station mischief. There might be some of it played out Tuesday, but in this wacky, unpredictable, topsy-turvy election season it would seem to be the diciest of propositions. Texans aren’t “registered” with political parties. We go to the polls with unmarked voter registration cards. We choose which primary to cast ballots: Democrat or Republican. We can zig or zag our way to the polling station of our choice. How does the mischief come into play? There could be those who are loyal to one party but who might venture into the other party’s polling place to vote the candidate they believe will be the weakest against the candidate of their choice. Parties are able to muster up concerted efforts in that regard, although it’s at times difficult to prove. In 2008, heavily Republican precincts in Texas saw a huge spike in Democratic primary voter activity as Sens. Hillary Clinton and Barack Obama battled for their party’s nomination. Clinton won the primary and it was whispered that a lot of Republicans crossed over to vote for her hoping Democrats would nominate her to run against Sen. John McCain in the fall. Indeed, I spoke to several Republican friends who actually admitted to doing precisely that: voting for Clinton and hoping she would be nominated. It didn’t work out that way; Obama got the Democratic nod and went on to thump McCain in the general election. Can such a thing happen on Tuesday? I keep reading about Republican Party “establishment” honchos sweating bullets over the prospect of Donald J. Trump winning their party’s nomination. Might that spur some Democrats to cross over to vote for Trump hoping to push the reality TV celebrity and real estate mogul toward the GOP nomination? In another time and era, perhaps that could be the case. This year? Well, it might be a case of being “careful what you wish for” if such a conspiracy materializes across Texas. Democrats wanted Republicans to nominate Ronald Reagan in 1980 — and look how that turned out. I’ve never been one to “waste” a vote by playing that game. I tend to cherish my vote as something that gives me pride. I’m not seeking to sound righteous. I’m just saying that in my humble view, game-playing with one’s vote cheapens this rite of citizenship. Of course, I cannot possibly pretend to speak for others. Let’s just see how it plays out. How many 911 calls were made? You mean there’s a third 911 call? 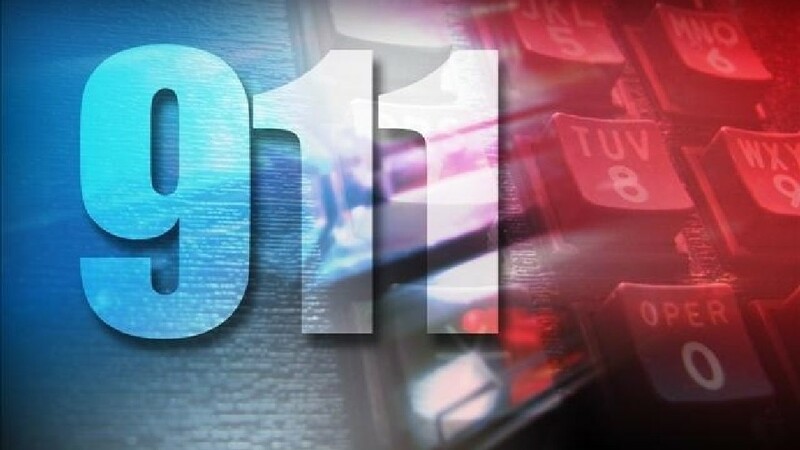 Interim Amarillo City Manager Terry Childers misplaced a brief case at a local hotel the other day and called the city’s emergency services call center not once, or twice … but three times. This is getting a little strange. Audio recordings of the calls have been made public. Childers’ initial call was to report that the briefcase had been “stolen.” It apparently wasn’t. He wanted the dispatcher to scramble police officers immediately to his location. He said he wanted the cops the “shut down” the hotel while they looked for the item. Childers demanded to speak to the dispatcher’s supervisor. The dispatcher asked a series of questions, which apparently had upset the interim manager. Then he called twice more. Over what? A stolen briefcase. No one appeared to be in imminent danger. No physical damage was done. Isn’t the 911 system supposed to be used to report criminal activity (robberies, assaults, those kinds of things), or medical emergencies, or fires? 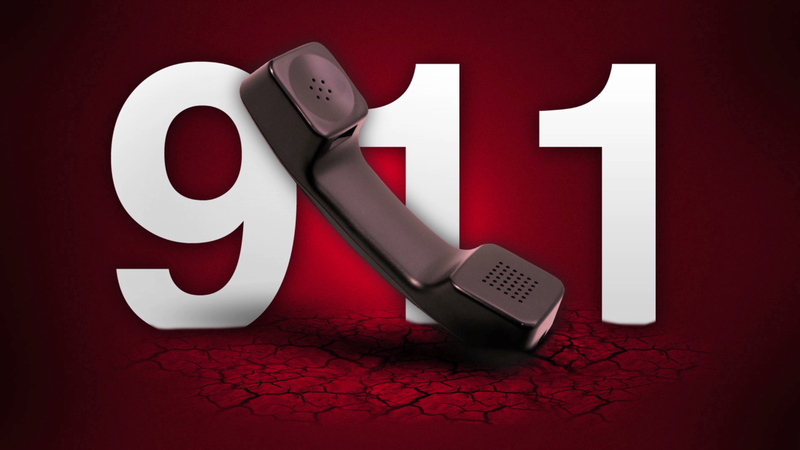 Well, the city has enacted some changes to the 911 call center as a result of the calls. Maybe the place will run more efficiently. I’m still scratching my head over how a missing briefcase — which was recovered, incidentally — became the source of such frantic behavior. 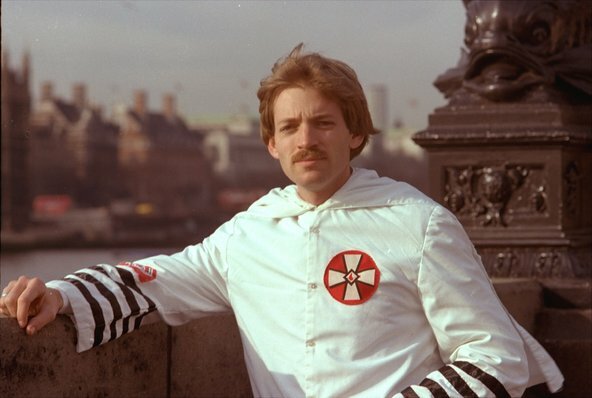 David Duke once was a former grand wizard of the Ku Klux Klan. You’ve heard of the KKK, right? They hate African-Americans, Asians, Latinos, non-Christians. They have burned crosses. They have killed people. It’s an organization from which one cannot ever really escape, unless one does something demonstrable: such as disavow their previous association with the group; condemn its actions categorically. David Duke — one-time Louisiana state legislator and gubernatorial candidate — hasn’t done that. Duke, though, has endorsed Donald J. Trump’s platform on which he is standing as he runs for the Republican presidential nomination. He hasn’t endorsed Trump, per se. He just likes the things Trump is saying on the stump. I’ll take a leap here to presume he means primarily the things Trump says about building a wall across our southern border and banning all Muslims from entering this country. Trump, though, hasn’t distanced himself from the former grand wizard — Or is it grand dragon? I can’t keep those titles straight. Instead, Trump says he doesn’t know anything about Duke. Trump needs to get out more, maybe. The NYT went on: “I think he deserves a close look by those who believe the era of political correctness needs to come to an end,” Mr. Duke said, calling for a leader who would secure the border and dismantle the “Jewish controlled” financial industry. As the conservative radio talk-show host Mark Levin said in a tweet: “Is it really that hard to disavow” a known Klansman? Well, I’ve never met David Duke, either. Nor have millions of other Americans who detest the organization with which he is most closely associated. Who’s left of The Who? I just saw something that forces me to veer sharply away from politics for a moment. The Who is going to play on “The Tonight Show with Jimmy Fallon” later this week. The Who? Yes … or what’s left of The Who. Two of them are deceased. Keith Moon was the wild-man drummer; John Entwistle was the smooth bassist. Zack Starkey, Ringo’s son, has replaced Moon on the drums and from what I understand he does a creditable job with the sticks; don’t know who’s thumping out the bass notes these days. I guess my point is this: How can a band that has lost two of its four distinct personalities still be called a band by the same name? 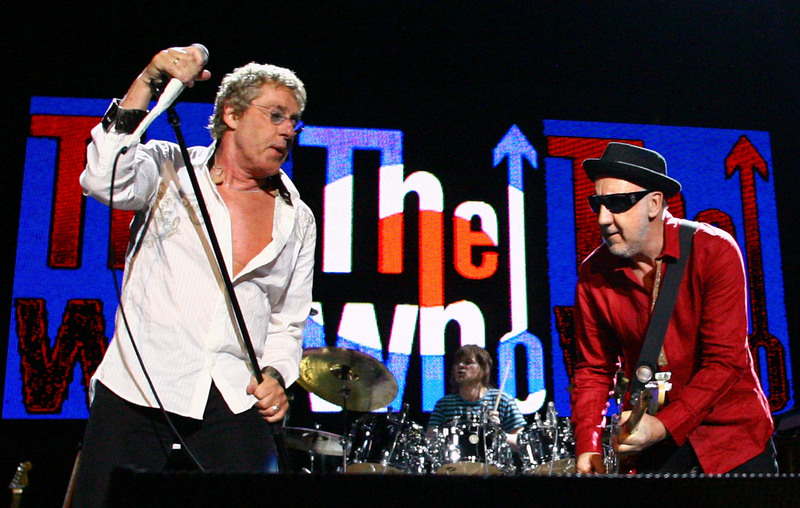 Roger Daltrey still sings and screams; Pete Townshend still rips the guitar with that famous “whirlwind move.” They’re great, man. Keith and John aren’t there any longer. Other bands have sort of stayed together while key members have been MIA. The Beach Boys without Dennis, Carl and Brian Wilson tried to hang together; Brian came back and then got into a serious spat with Mike Love. Creedence Clearwater Revival has a new name because their front man, John Fogerty, got mad at his bandmates and won’t have anything to do with them. Think of The Beatles “reuniting” without John Lennon and George Harrison. Can’t imagine it? Neither can I. Nor can I imagine The Who without Keith Moon and John Entwistle. Lawless? Unconstitutional? Why no impeachment? The Republican field of candidates — even when it comprised 17 members — has been using some highly charged language to describe the twice-elected administration of President Barack Obama. Thus, they are accusing the president of two things: of breaking the law and of failing to uphold the oath he took twice when he was sworn in by the chief justice of the Supreme Court. That makes me ask out loud, right here: Why haven’t the Republicans in the House of Representatives impeached the president? If you really and truly think he’s broken the law or signed unconstitutional executive orders, then you have political recourse. Isn’t that correct? Two U.S. presidents have been impeached over the course of the nation’s history. President Andrew Johnson fired his secretary of war without notifying the Senate and got impeached; he came within a single vote of conviction during a Senate trial. President Bill Clinton got impeached for lying to a grand jury about a tawdry relationship he had with a White House intern; the Senate acquitted him on three counts. A third president, Richard Nixon came within a whisker of being impeached because he blocked an investigation into the Watergate scandal; the House Judiciary Committee approved articles of impeachment, but the president quit his office. These days, candidates for president keep tossing out verbiage that would suggest — if you are to believe it — that the current president has committed a whole array of impeachable offenses. Indeed, when you accuse a president of doing something “unconstitutional,” that by itself implies malfeasance. Me? I don’t believe it. I get that it’s campaign rhetoric. Therefore, perhaps they don’t really mean what they’re saying out there — on the stump or on those debate stages. So, how about saying what you mean, fellas? My trick knee is throbbing once again. It’s not the weather that’s causing the throb. It’s this nagging sense that Amarillo’s interim city manager has stepped into a proverbial pile of … well, something unpleasant. Terry Childers placed more than one phone call to the city’s 911 call center to report — get ready! — a lost briefcase. He became agitated at the way the dispatcher handled his call. She wasn’t prompt enough, I guess, or didn’t see the urgency that Childers apparently saw. He wanted cops sent “immediately” to the hotel from where he reported the missing item. He said he wanted the place “shut down.” He told the dispatcher she “didn’t know” with whom she was dealing. All in all, it sounds to my ears — and I listened to one of the calls — that Childers overreacted badly. The brief case, by the way, was recovered. No harm no foul. But wait. The interim manager got some changes at the call center. Cops and firefighters are now on duty at the site to work alongside the personnel already on duty. Police Chief Robert Taylor said the changes will improve the operation and that he had heard complaints from residents about the call center’s operation. Well, that’s news to me … and perhaps to many others. The city is supposed to be looking for a permanent city manager. Childers will return to Oklahoma City when the new person signs on the dotted line. My trick knee is telling me as well that the City Council — which makes precisely one hiring decision, according to the city charter — ought to fast-track its search for a permanent manager.